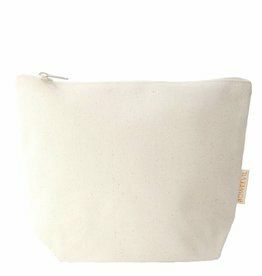 Cosmetic bag made of sturdy canvas and with ditto zipper. These cosmetic bags are sold per 5 pieces, so when ordering 1 unit you order 5 same bags. The stock is indicated in sales units. 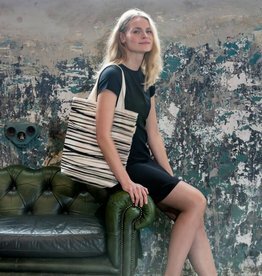 This bag is made of sturdy organic cotton canvas. 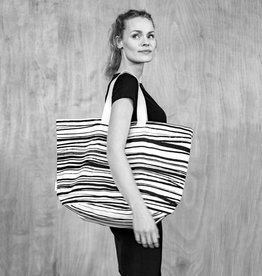 The same quality as the beach bag is made of, 480 gr/m². The dimensions are 24cm wide, 18cm high and the bottom is 9cm wide. The YKK zipper is approved by GOTS. When your order is less than 100 euros, please go to Pure Fabricz.